From Goodreads.com: Chloe Benson wakes up kidnapped and bound in an underground tomb with no memory of how she got there. She escapes through deserted woods with her life, but no one believes her story. And when she suspects her husband is lying to her, Chloe is forced to retrace her past, following in her own footsteps to find the truth and stay alive. But who is following Chloe? 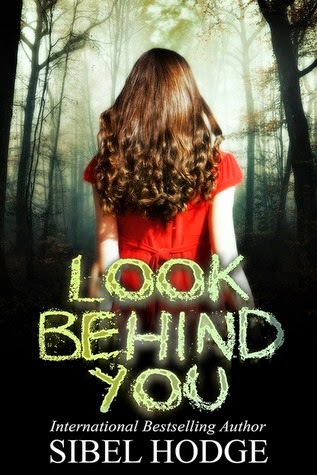 Look Behind You. You never know who’s out there. WARNING: Emotional abuse chronicaled throughout which may serve as a "trigger" for some readers. As a thriller novel... This was one of those stories that started off so promising, but then falls flat about halfway through. There were times when I wanted to applaud Chloe for taking initiative, and times I wanted to smack her for not having enough of a backbone. Although it was often predictable, there were times when something happened that I did not see coming, and I have to admit that who I thought was the abductor turned out to be someone completely different which was a bonus. It was also a quick read, so despite the flaws I found in it, it went by quick enough that I couldn't complain. I think it is worth stating that the "emotional abuse" aspect of this book was one that really stuck out to me. Although I'm sure that wasn't the intention of the author, I feel that that aspect could either serve as a "trigger" for people who have battled it before, or as a "wake up call" for people who may be experiencing it and not realized it. It was one of those things, that although used to farther the storyline, it also should come with a warning.